Tapaculos are among the most primitive of passerine birds. Based on both DNA and morphological comparisons, their closest relatives are believed to be the ground antbirds (Formicariidae, sensu stricto), particularly the genera Formi-carius and Chamaeza, and the gnateaters (Conopophagidae). Together, these three form the superfamily Formicarioidea. Twelve genera with 54 species are currently recognized, but one form of the genus Melanopareia that is currently treated as a subspecies may deserve full species rank, and the taxonomy of the genus Scytalopus is far from resolved. Several species are so alike that they cannot be told apart by external morphology, not even in the hand, rendering Scytalopus the most problematic of all bird genera. The species differ genetically, in vocalizations, elevational distribution, and frequently in body mass (but often not in other measurements), but plumage differences have not evolved as an important part of species recognition, probably owing to the dark haunts of these birds. Voices of several yet undescribed forms are known, and it seems possible that as many as ten or more species will be recognized through further taxonomic revision and description of new taxa. Three genera are so aberrant that they may not belong in the same family as the others. Melanopareia and possibly with it the poorly studied Teledromas differ in so many characteristics that they are probably best placed in a family of their own. 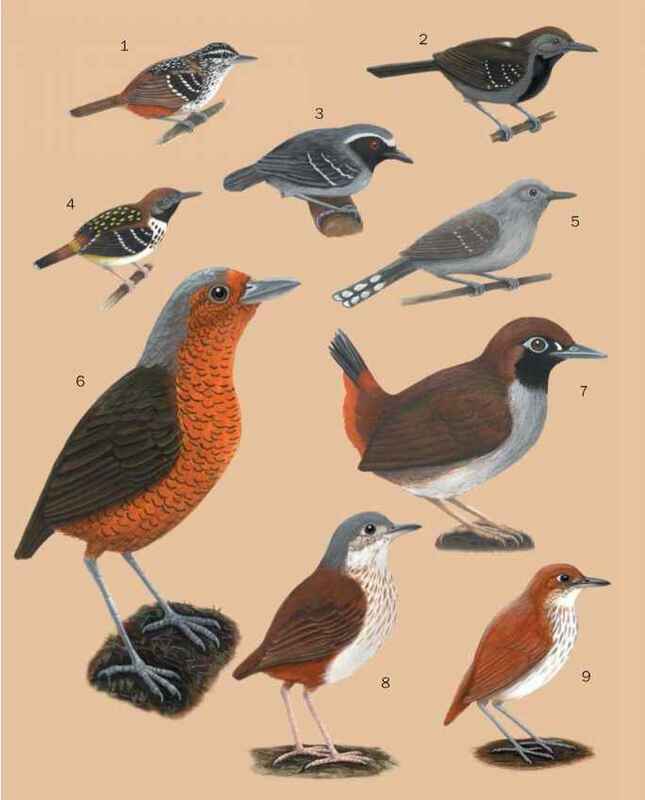 The monotypic Psilorhamphus has been variously placed with gnatwrens, wrens, and true antbirds, but an anatomical study showed that it shares some characteristics with the tapaculos, with which it was then placed. However, its affinities may yet be shown to lie elsewhere.